They make stuff up. You laugh. “I want to go see some great improv!” says Pam. Frank is calling now to get tickets … smart guy. The Tahoe iMPRoV Players have been turning audience suggestions into hilarious scenes made up on the spot for over 20 years. Come see one of the longest performing acts in Lake Tahoe … one of the first to perform at the beautiful Valhalla Boathouse Theater when it opened in 2000. Posted in Improv, Uncategorized. Bookmark the permalink. Best $10 you’ll ever spend! They make stuff up, you laugh…it’s simple! 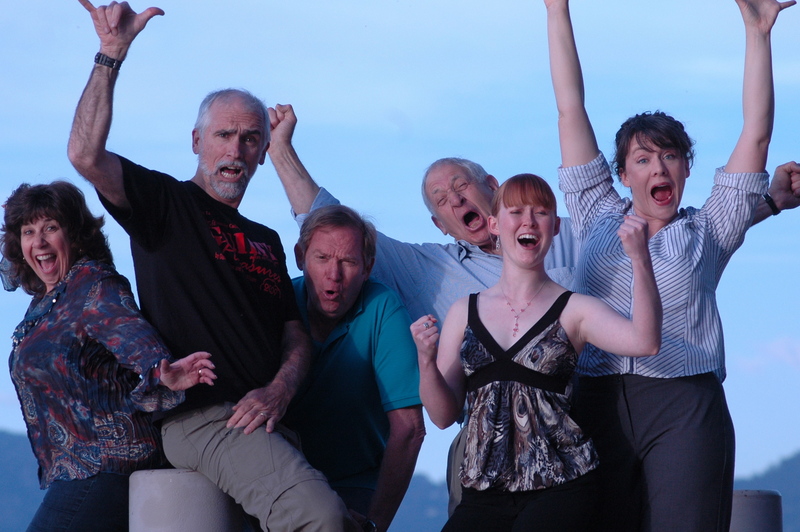 Be sure to catch all four shows this summer featuring the truly amazing Tahoe Improv Players. This is wonderful fun for the whole family! For twenty years The Tahoe iMPRoV Players have been turning audience suggestions into hilarious scenes made up on the spot. Their improv journey began as ComedySportz of Lake Tahoe in 1994. Three years later they evolved into the Tahoe iMPRoV players. They have performed at Valhalla Tahoe for 18 of their 20 years, and were one of the first theater troupes to perform in the Boathouse Theater after it opened in 2000. “Twenty years! You know what they say … when time goes by fast, it goes by fast,” said Gerry Orton, the troupe’s director. Beginning their 21st year, The Tahoe iMPRoV Players are the longest performing theater act in Lake Tahoe. Get your tickets at http://valhallatahoe.com/. It’s summer. Who doesn’t love blueberries?!? And laughing?!? Tuesday July 5 – SOLD OUT!